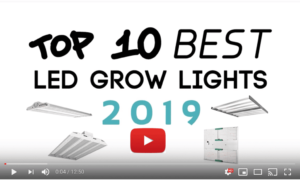 1 Top Ten LED Grow Lights–another 2019 list. 2.1 Horticulture Lighting Group HLG 550 V2. 5.1 Optic LED Optic 8+. 7.1 The Green Sunshine Company Electric Sky 300. 8.1 Horticulture Lighting Group HLG-600H. 8.2 Is this really the best bang for the buck? 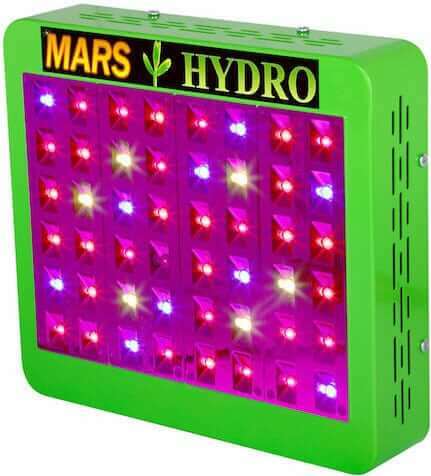 Top Ten LED Grow Lights–another 2019 list. 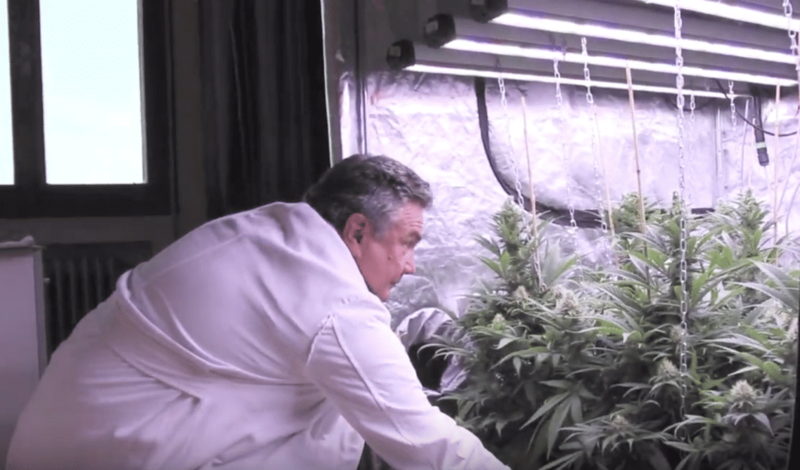 Everyone wants to know an expert’s opinion of the the Top Ten LED Grow Lights in 2019. There are a multitude of LED Grow Lights on the market at all price levels and with or without all the bells and whistles. Sometimes the quality is what it should be but sometimes–well, some manufacturers cut corners to cut costs. And the opinions about LED Grow Lights are just like belly-buttons–everybody has one. So it can be hard or even impossible to find the lights that are best for your indoor garden. Here is our take on why you should have LED Grow Lights and why we can help you find the best ones for your budget and your growing needs. That’s where we come in–we do the work of sorting out what is good, what is worth the cost and even sometimes what to avoid completely. Our Best 10 LED Grow Light Reviews for 2019 are posted on our front page. But the fun doesn’t stop there–and neither do the LED Grow Light Reviews. 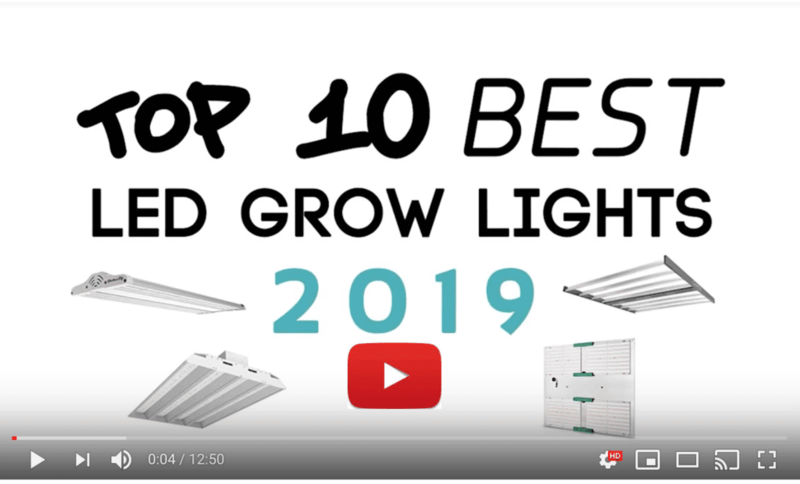 Our friends at LED Grow Lights Depot sell a wide variety of lights and growing products and they have put out their own Top Ten review for 2019. 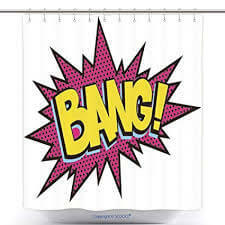 Naturally it contains the products that they sell, but there is nothing against tooting your own horn. They even produced a pretty slick video, which you can see below. 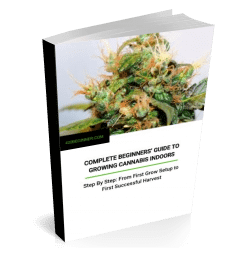 But if you are like me and prefer to get your information by reading, we have transcribed the important details from the Depot’s video and put it with our descriptions of their Top Ten LED Grow Lights. Interestingly, even though LED Grow Lights’ video disparages sellers on Amazon, many of the lights in their list are also available on Amazon. Here at 420Beginner.com , we don’t copy somebody else’s (unless it’s our own content on our brother site BigBudsGuide.com) content but we certainly can comment on what someone else publishes. So here is a brief synopsis of the Top Ten LED Grow Lights as listed by the folks at LED Grow Lights Depot. Horticulture Lighting Group HLG 550 V2. 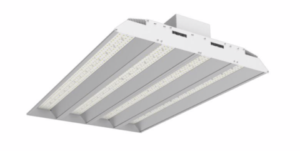 Here’s what the Depot had to say about it: ” The Horticulture Lighting Group HLG 550 V2, released mid-2018, replaces a 1000-watt HPS and only draws 480 watts at the wall, while boasting a 2.5 micromole per joule efficacy. The fixture utilizes 1,152 top-in Samsung LM301B diodes while emitting a PPF of 1,178 micromoles per second across 4 custom-designed QB-288 quantum boards. These efficacy numbers make the HLG 550 V2 one of the most efficient LED grow lights on the market. The HLG 550 V2 is designed to flower a 4 foot by 4 foot area or veg a 6 foot by 6 foot area. The fixture is available in two spectrums: 3000K or 4000K. 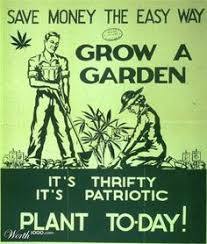 The 3000K spectrum is ideal for full cycle growth, from seed to harvest, or for flowering only. The 4000K spectrum is best for keeping plants stout during veg and/or increasing quality during flower. The industry’s flagship unit is passively cooled, eliminating the use for cooling fans. The quantum boards sit on an anodized aluminum heat sink panel. The back of the panel contains a Meanwell HLG driver, dimmable down to about 240 watts via a built-in screw. At the end of 2018, the HLG 550 V2 was ETL CSA certified for commercial grows. The retailer’s take on this Gavita light: . “The Gavita Pro 1650e LED ML released late 2018, is Gavita’s first LED grow light after solely specializing in HIT fixtures. 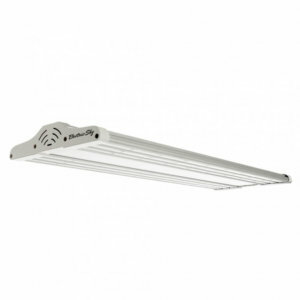 The fixture replaces a 1000-watt double-ended HPS while only drawing just over 640 watts. The bar-style fixture contains a full spectrum, comprised of approximately 4000K white light diodes and 660 nanometer red. 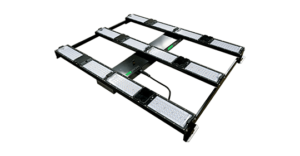 The Gavita LED grow light has a very large form factor, measuring 44 inches by 44 inches. This form factor creates an extremely even footprint throughout a 4 foot by 4 foot area. The details? “The Nextlight Mega, released May 2016, replaces a 1000-watt, double-ended HPS while only drawing 650 watts. The LED lifetime is rated at 100,000 hours, which is 20 years on a 12/12 cycle. The full spectrum, 3000K, 5000K white Samsung LM 561 B+ diodes are heavy in blue and green, while providing sufficient red for flowering. The Mega measures 37 inches by 37 inches and is passively cooled. No cooling fans. The wide form factor and thin profile allow the heat to dissipate without additional heat sensor fans. It also helps create a more even footprint without any hot spots or low PAR readings. The Nextlight Mega is available with a comport and dimmer for central communication and dimming capability. The unit is also daisy chainable to an additional fixture, which allows you to cut down the number of cords you need to run to the power supply. The Mega is designed and manufactured in the USA. This is a perfect fixture for tents, grow rooms, or commercial grows. The fixture is UL listed for commercial applications. Moving to number 4 is another pricey choice, this one from the well-known Black Dog line of LED Grow Lights. These lights are also made in the USA and come from Amazon in a bundle that includes a “Legalize Tomatoes” sticker, good for those American backwater states where MaryJane is not welcome. (Check out MaryJane’s interactive Global Weed Infographic of US and world cannabis laws, soon to be updated with the 2018 Revolution.) Black Dog has several lights in various sizes with various add-ons. Here are a couple of them. The Green Sunshine Company Electric Sky 300. Light number 5 is from our friend Dan at the Green Sunshine Company. You can read MaryJane’s interview with Dan here. This is a 2-pack set of ES300 lights which can be placed closer together or farther apart depending on your plant spacing. The virtue of the Electric Sky is in its lensing system which reduces wasted light by directing more of the light straight down instead of losing it out to the sides. Again, not available on Amazon but you get a 5% discount on the two-pack at checkout on the Depot. Is this really the best bang for the buck? California Lightworks SolarXtreme 1000 is a new model from this well-known company and it is targeted to the home grower, without the remote control and other functions that California Lightworks puts in its pricier commercial-grade lights. The SolarXtreme 1000 is a powerful light with a heavy power consumption at 800 watts but its price of $899 takes some of the sting out of that. It is sold as a plug-and-play light that can be set up in minutes by even the newest noob. California Lightworks, a major manufacturer of high-end lights, has a fully stocked shop on Amazon, so their latest light is actually the SolarXtreme 1100 at $1799. The model touted by LED Grow Lights Depot, the Solar Xtreme 1000, is about half that price at $899. So if you don’t need the latest and greatest, check out the Amazon store and then maybe do your buying at the Depot.